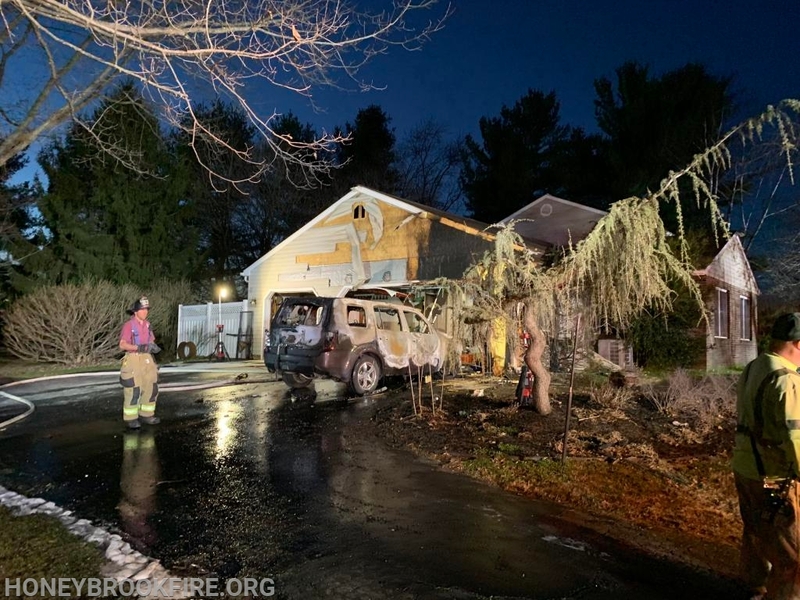 While finishing up a (18:48)brush fire on Pleasant View Road (HB Twp) HBFC Command notified (19:12) of a vehicle fire extending to the house at Foxview and Hunters Run (Chestnut Tree Village development) Honey Brook Township. Deputy Kern arrived and reported a working fire dispatch and established Command. 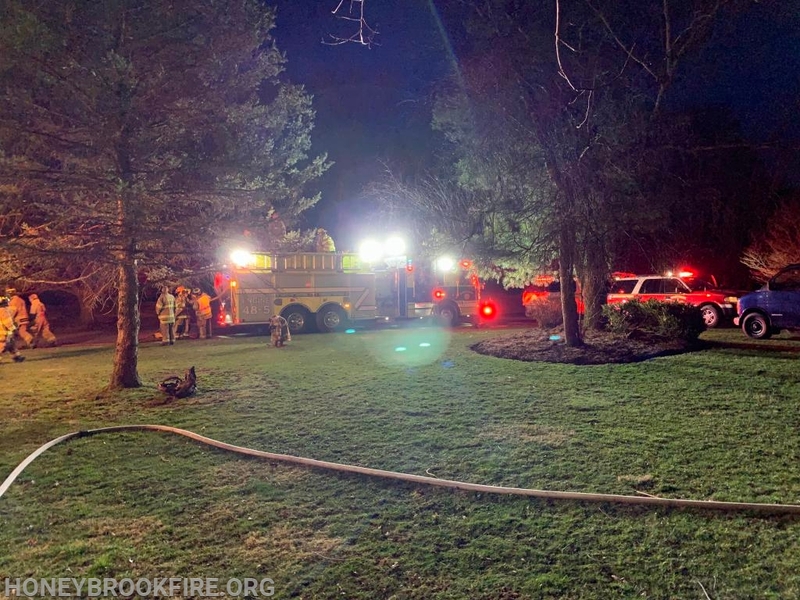 Engine 48-1 arrived first and commenced an aggressive attack. Ladder 49 arrived and went to the roof. 48-5 laid in a LDH supply line. 33-5 acted as a Nurse Tanker ( from intersection of (Foxview and Hunters Run) and supplied 48-1. 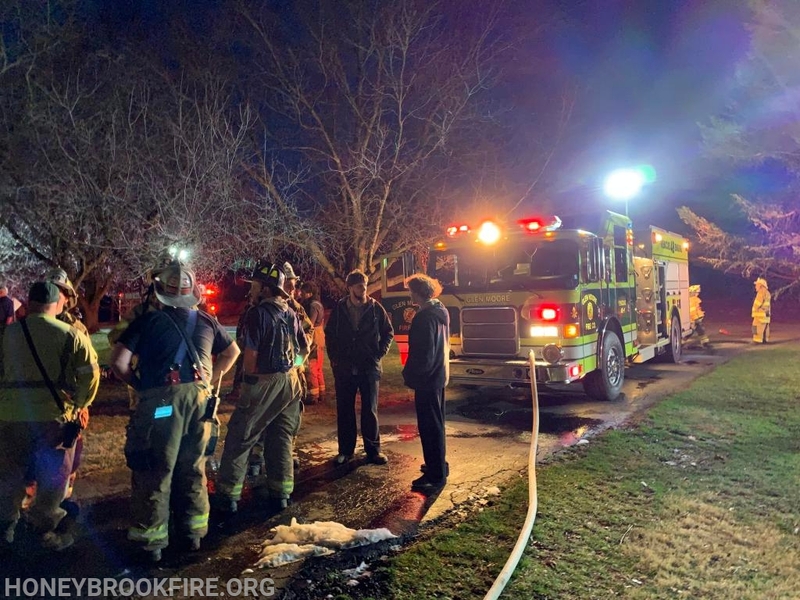 Engine /Tanker 49-5 supplied 3000 gallons to 33-5.